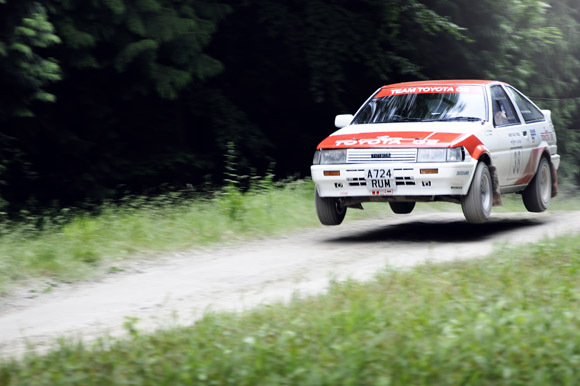 It boasts the sort of gruelling schedule that most modern-day rally drivers will only have read about in the history books, but for Will Midgley, Jonathan Driver and their 25-year-old Toyota Corolla, next week’s Roger Albert Clark Rally is a very real challenge. It’s the first time that Will, from Grassington in North Yorkshire, has attempted the greatest challenge in UK historic motorsport, and work continues apace in the workshops of family business Midgley Motorsport to ready the 1.6-litre AE86 Toyota Corolla for the event. 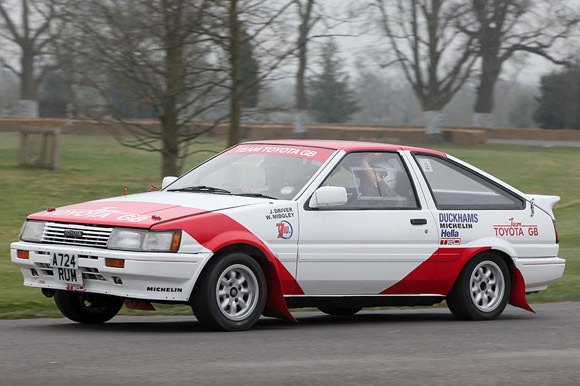 The car is liveried identically to the one which Will’s father, John Midgley, and Per Eklund drove to a string of UK rallying successes for Team Toyota GB in the mid-’80s. “I am definitely getting a bit nervous,” says 37-year-old Will. “It is a very, very long and challenging ‘old school’ event, and I am only in my second proper season of rallying. It will also be only the second time that my co-driver, Jonathan, has navigated using maps rather than pace notes, so there will be a lot to contend with. When they are waved away from the startline in North Yorkshire after dusk next Friday (23 November), 160 miles of special stage punishment will lie ahead of competitors. 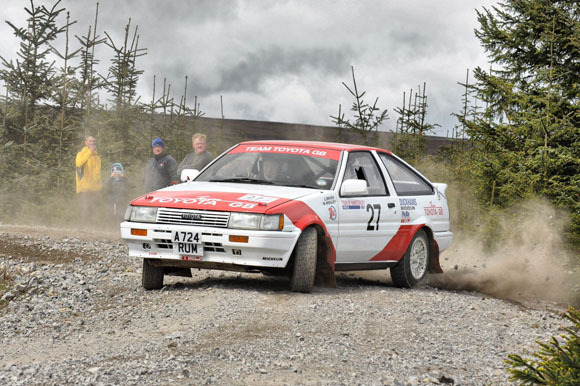 More than 80 two-wheel-drive cars from the 1960s, ’70s and ’80s are due to tackle a string of forest special stages whose names – Dalby, Gale Rigg, Hamsterley, Pundershaw, Riccarton, Wauchope – are etched in the history of the grand RAC Rallies of old. Will converted his AE86 from a road car and has two seasons under his belt with it. Last year he won the Association of Northern Car Clubs Stage Championship ‘Tarmac Challenge’ at his first attempt; he converted the Corolla to gravel rally specification for this season and won his class first time out, on the Riponian Stages Rally. “Since then luck has not been with us. 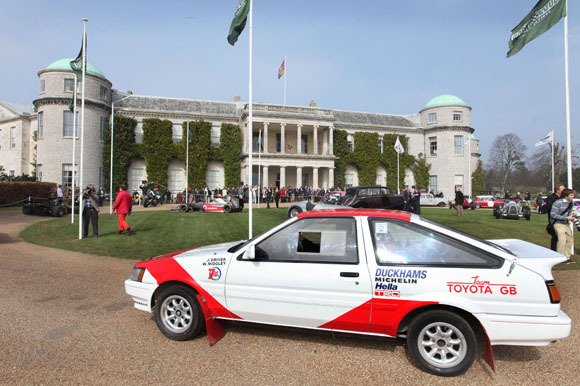 We were leading our class all the way to the finish of the final stage on the Tour of Hamsterley and then broke a driveshaft and had to retire, and then we rolled out of the Dukeries Rally.” The Corolla went on to wow spectators at this summer’s Goodwood Festival of Speed. The Roger Albert Clark Rally gets under way from Pickering Showground, with four stages on Friday evening and a further 11 special tests during Saturday – including a spectator special at Croft circuit – ahead of an overnight halt at Carlisle. Nine more stages follow on Sunday, including a sting-in-the-tail 17-miler through Kershope, with the finish line in Brampton that evening.